Our morning time routine brings such peace and beauty into our homeschool day. It sets the stage for learning and continually inspires us. We’ll continue with morning time, but our morning time basket regularly changes as we read books and explore certain topics. 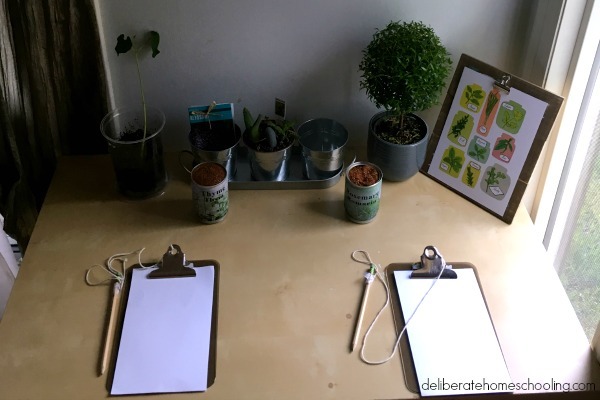 Some of the curriculum choices that I’m sharing here are part of our morning time routine, while others are used during the more structured part of our homeschool day. I adore the Bob Jones English curriculum. 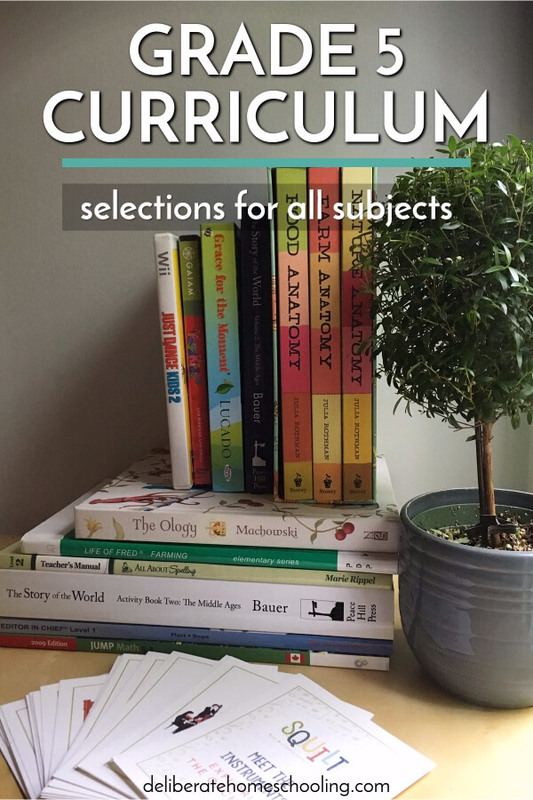 I love how colourful the curriculum is, and it covers the many different types of writing (narrative essay, research report, poetry, etc. ), as well as grammar. Editor in Chief is a newly added curriculum this year. My daughter doesn’t like editing her work. I thought I would try this curriculum out and see if she would enjoy editing someone else’s work. It turns out that she LOVES this curriculum. I’m hoping it will break her out of her resistance to self-edit. As I’ve shared before, my daughter dislikes writing. Even though she’s an avid reader, her spelling is less than stellar. All About Spelling is a simple way to teach mastery in spelling. We do one lesson a week and she seems to enjoy the structure of this program. I haven’t cared for Jump Math in the past, but my opinion has recently changed. This year I’ve explored the Jump Math website and I’m impressed with the detailed lessons and activity ideas that are available to parents and educators. This alone makes Jump Math a very affordable and comprehensive curriculum choice! We do 2-4 pages of Jump Math 4 days per week. My daughter loves Life of Fred. Whenever we do a chapter, she’s laughing and giggling about Fred’s antics. She certainly loves this square-headed 5-year-old mathematician and his favourite doll, Kingie! We’re finishing up the Farming volume, and we’ve planned for two more books this year: Goldfish, and Honey. Life of Fred is a once a week “treat”. I love science, but I intensely dislike the majority of the science curriculum available to homeschoolers. While I would like my daughter to meet the Alberta science curriculum standards, the options available are dry and boring. I’ll be piecing together her curriculum from various sources including hands-on activities, experiments, books borrowed from the library, Rodeo Chaps, videos, educational apps such as Brain Pop, and resources from various websites. I also incorporate nature study and science readings into our Morning Time. My favourite science read-aloud book is currently the Julia Rothman Collection: Nature Anatomy, Farm Anatomy, and Food Anatomy. These books are visually stunning and are packed with information! We’ve used the Story of the World curriculum for a couple of years now, and we love it! I enjoy selecting a variety of activities each week from the teaching companion guide. I incorporate Canadian content into our curriculum as well. We read books about the different provinces, Canadian history, and my daughter enjoys her subscription to Kayak (a children’s Canadian history magazine). I love this devotional for children. 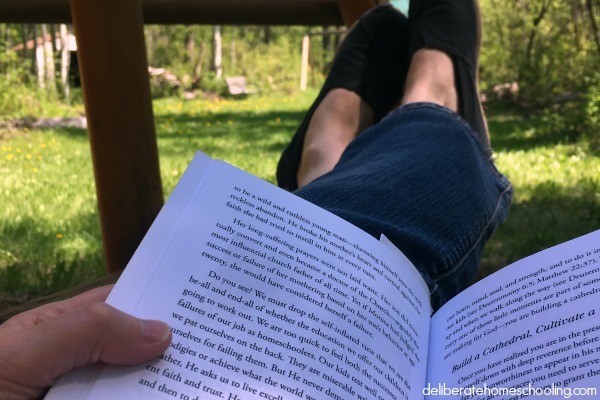 The devotions are easy to read but also provide inspiration for life application. This children’s theology book is AMAZING! As an adult even I’m learning from it! The pictures are beautiful and the content is rich. I highly recommend this book for your homeschool students. Health is another curriculum that I piece together with various library books and DVDs. This year we’re focusing on self-esteem, bullying, goal setting, and disaster preparedness. This year we’re doing something completely different for art! 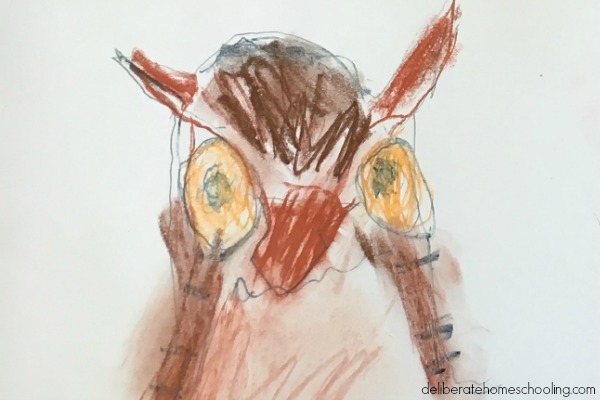 While I’ll regularly provide opportunities for the girls to draw in their drawing journals, I’ll also do collages, watercolour paintings and sculpting with them. I’m really excited about our chalk pastel curriculum which we’re doing through You ARE an Artist! My girls LOVE Nana’s video tutorials. The videos are short and super easy to follow. The results are stunning! We love SQUILT (Super Quiet Uninterrupted Listening Time). With this curriculum, my children get exposed to notable pieces of music. SQUILT also allows us the opportunity to include a peaceful ritual of music appreciation into our days. I don’t use a specific curriculum for physical education, but I plan a variety of activities at home to get my girls moving on a daily basis. We use Yoga DVDs as well as various exercise video games such as Wii Fit Plus, Just Dance Kids, and Zumba Kids. We also attend periodic gym times at our local YMCA, and the girls have weekly swimming and KungFu lessons as well. I think it’s critical to have some curriculum for myself during the school year as well. So now it’s your turn! Is there a particular curriculum you love that you’re using this year? Feel free to comment below and then share this post with your homeschool communities. Love to see SQUILT on your list!